Awesome little pub on Mt. Tamborine. Live Music, fantastic service and staff have great personalities. The food is amazing especially the Beef and Guiness Pie. 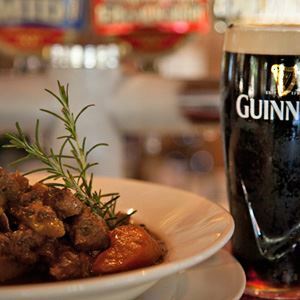 Great food, generous helpings and a welcoming atmosphere- Clancy's Irish Bar and Restaurant has it all in spades. Quality, quantity and value for money - you'd be hard pressed to find meals served here anywhere on the Gold Coast. 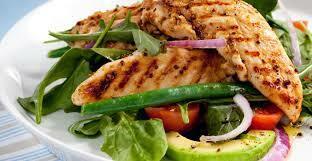 All the meals prepared in a "home style" manner with loads of freshness and flavour. The staff will look after you very well with a fully catered bar. Don't be tricked into the name, Clancy's is more than an Irish bar with a wide variety of tastes on the menu from seafood through to vegetarian. Clancy's never fails to deliver a fantastic experience! Great hearty Irish fare, good ales, happy lively staff and on weekends awesome live music. Definitely one of the top places to eat on Mt Tamborine. 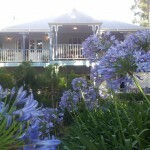 Amore B&B is located at 150 Long Road on Tamborine Mountain. Each of the four spacious rooms is themed to the English porcelain classics. The Doulton, Wedgewood, Country Rose, and Blue Delph. Soft furnishings match the themes and comfort is maximised with collectible antique furnishings from around the world. Timber framed windows enable mother nature to light up the rooms and when opened you can feel the fresh mountain air. Please contact Kay or John at Amore B&B on 07 55452330 or visit the website for booking arrangements. From Beaudesert take the Beaudesert/ Beenleigh road (Route 92) which is well signed for Tamborine and Beenleigh. You enter a large Roundabout at Tamborine Village, take the third exit, and you will be heading South-West towards Tamborine Mountain (Route 95). You will now travel for 10.5 km. through the Rainforest as you wind your way up the mountain. Turn left into Eagle Heights Road and you will travel 1.1 km to the Eagle Heights Roundabout. Take the 3rd exit into Long Road . We are the third property on your left immediately after this roundabout. Kay and John look forward to welcoming you to Amore. Down the ramp and through a second set of traffic lights. Straight ahead and you will then be on the road to Mt. Tamborine. Follow the Oxenford-Tamborine Road for 20 minutes. Upon reaching the top of the Mountain, you will come to a roundabout. Please turn right here (3rd exit). There are shops, cafes, and the like on both sides of the street. You are now in Gallery Walk. Continue on Gallery Walk for 700m, you will reach another roundabout. Go straight ahead. Proceed along the M1 to the Oxenford exit, number 57. Head up the Oxenford exit ramp. Then Down the ramp and through the very prominent set of traffic lights. You are then on the road to Mt. Tamborine. You will notice the sign to Mt. Tamborine. Follow the Oxenford-Tamborine Road for 20 minutes. Upon reaching the top of the Mountain, you will come to a roundabout with a fig tree in the centre. Please turn right there. There are shops, cafes, galleries and the like on both sides of the street. This is known as Gallery Walk. Still on Gallery Walk, you will reach another roundabout. Go straight ahead. 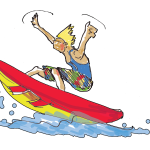 How to find your way to Amore B&B from Surfers Paradise via the M1. 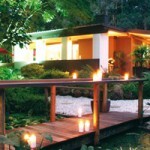 From O'Reilly's Rainforest Retreat you will travel north west on Lamington National Park Road. You are now heading down the mountain towards the township of Canungra ( 35km). Entering Canungra you continue for about 200m along Kidston Street and then take a right hand turn into Christie Street which is Canungra's main street. This is State Route 90. Continue for about 700m where you will turn left when you see the signs to Mt. Tamborine. You are now on Tamborine Mountain Road. It is a narrow winding road with a one way section controlled by Traffic Lights. Locally this road is referred to as the Goat Track. Simply follow this road for 10.1 km. You will pass various wineries, the showgrounds and the hang glider launch site before you turn right into Lahey Road. After travelling 900m down Lahey Road you will turn left into Long Road. Travel for 2.7km and you will be at Amore's doorstep. On your way you will pass a substantial sports oval, wineries and acreage properties. Amore is located at 150 Long Road and is directly opposite the Brewery and Cheese Factory. There are a number of highly regarded and respected winery outlets located on Tamborine Mountain. They all adopt a fairly straightforward philosophy in the utilisation of traditional wine making practices to create wines of excellent quality. 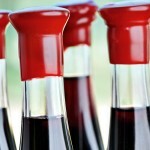 From making the decision to remove the grapes from the vine at that exact right time through the process of crushing, pressing, clarification of juice, fermentation, maturation and blending, to that time line decision to bottle, the wine maker controls the dynamic process that is wine making. We rely upon our wine makers to bring together the intensity of aromas and flavours, the complexity, balance, finesse, structure and mouthfeel that produces a quality wine. The local wine makers are passionate about wine and excel at their craft. Cellar Doors are open daily from 10 am to 4 pm for wine tasting and sales. There are 7 wineries offering a diverse variety of wines, cellar door outlets in Gallery Walk, a great craft brewery and Australia's most awarded Distillery. The Winery Trail starts at our doorstep here at Amore. 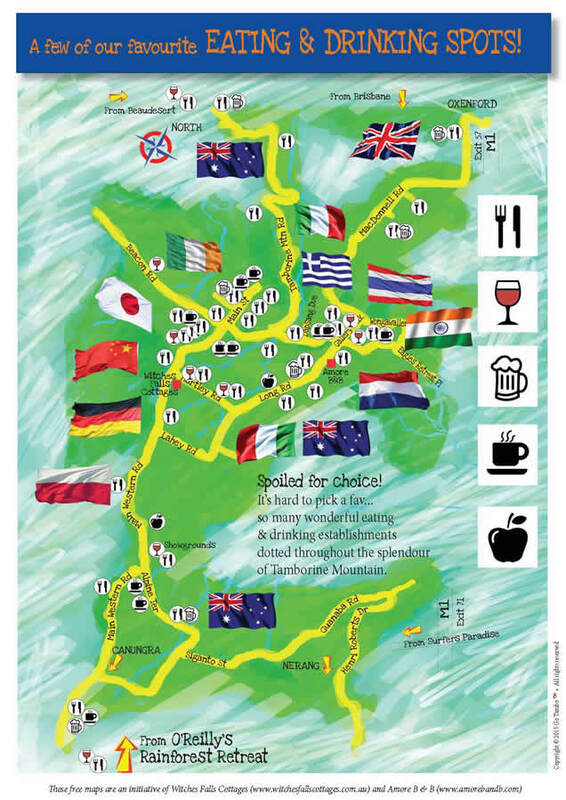 Go to the Wine Glass Icons on the map for trail information on the individual outlets. Go to our Google Map Trail for Directions. 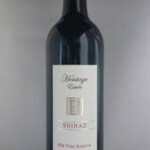 Heritage Wines are now open at the Cheese Factory Outlet in Long Road directly opposite Amore B&B. Heritage is a great venue for wine tasting with the adjunct benefit of a brilliant selection of first quality cheese. Complimentary wine tastings are conducted daily from 10am till 4pm. Also situated on the northern end of the walk (near the big fig tree) is the Heritage Wines Gallery Walk wine tasting and sales outlet Enjoy a glass of wine with a cheese platter on the deck. For over 27 years, Heritage Estate Wines have been producing award winning wines with their exquisite taste and consistency. The Winery has won many prestigious awards for their wines and in 2015, Heritage Estate Wines received a 5 star rating in James Halliday’s 2016 Australian Wine Companion. They were also named as one of the Ten Dark Horse wineries of 2016. How good is that! 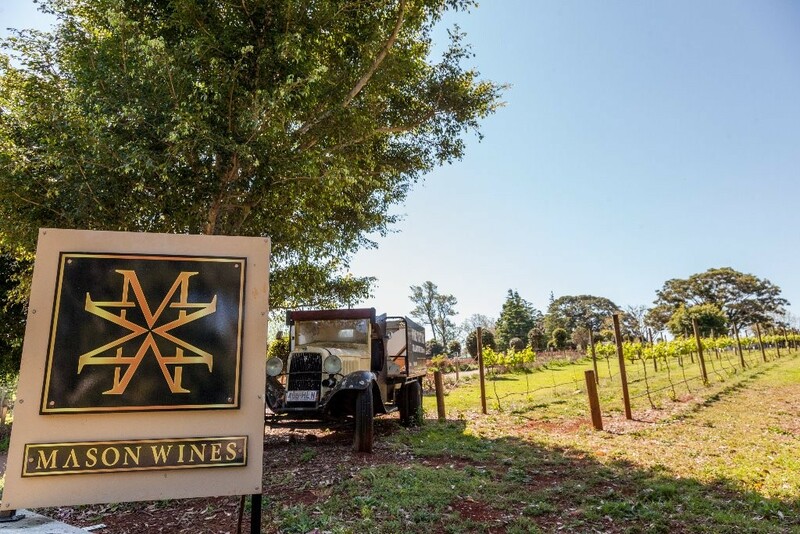 Mason Wines Mt Tamborine is open daily where the staff will guide you through Mason's extensive range with styles and varieties to suit all palates. Please refer to the following Wine Lists for Mason's current vintages. A delicate sparkling with persistent beading. Shows stone fruit and citrus with a crisp and clean finish. A silky in the mouth Verdelho. Shows Exotic tropical fruits & green apple. A crisp tropical blend. Shows citrus & gooseberry. A clean dry un-oaked Chardonnay. Shows cashew, nectarine & apple. A semi-sweet fun easy drinking blend. An aromatic nose & tropical palate. The palate shows luscious sweet fruits, floral aromas with a long seductive finish. An off dry Shiraz Merlot based rose. Shows a hint of strawberry sweetness. A light fruit driven Merlot. Shows ripe blackcurrant & blackberry. A medium bodied Shiraz with juicy berry fruits & velvety tannins. Spice & chocolate on the nose. OPEN DAILY: Monday to Sunday 10am to 4pm. If you love wine you will love Witches Falls Winery. To them it is not just a drink. They love growing it, making it, drinking it, matching it with all kinds of foods and sharing it with friends. Take this opportunity to join the family. Witches Falls Winery takes pride in creating wines that you will not only love to drink but wines which draw you into the winemakers world. They produce three distinctive ranges of wines: Granite Belt, Wild Ferment and Prophecy, each providing a unique look at different styles and practices in both viticulture and winemaking. Witches Falls Winery has achieved incredible results on the National Wine Show Circuit, but it is more about the challenges of taking fantastic fruit from the Granite Belt and producing must have fine wines which drives this enterprise. Come and visit the team at the Winery for wine tasting and sales. Tasting is $6 per person for a flight of 6 wines of your choice from an extensive wine list. The Cellar Door is open Monday to Friday from 10am to 4pm and Saturday & Sunday from 10am to 5 pm. Vineyard and Restaurant, overlooking lush vines and with panoramic views of Tamborine Mountain and the Gold Coast Hinterland, a beautiful wedding chapel and boutique cellar door tastings – Albert River Wines is an award-winning boutique Scenic rim winery experience, set high on a hill in the picturesque Albert Valley and descending down to the banks of the Albert River. Visitors enjoy cellar-door wine tasting in an historic Queensland homestead, where you can also dine in style on the wide sweeping verandahs. 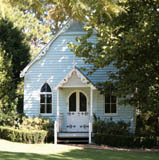 Albert River wines is also home to an original Chapel, perfect for traditional style wedding ceremonies. Boutique wineries are by definition those whose wines only available directly through the winery - such is the case with Albert River Wines, so a trip to their cellar door is definitely a worthwhile experience. Albert River Wines offers a choice of wedding ceremony locations, including Garden Gazebos, an ornately restored Vineyard Chapel and a unique opportunity for Vows amongst the Vines, where you can pledge your love surrounded by the beautiful ambience of lush grape vines and the panoramic Mountain Views (just perfect accompanied by a solo instrumentalist). At Albert River Wines many families also enjoy a glimpse of farm life - A Tamborine Station Farm Tour will uncover the history of Tamborine, the vineyards and you'll experience an authentic sheep dog demonstration. Also try your hand at whip cracking, learn how to throw a boomerang, and hand feed the barnyard animals. Tours operate from 2:00pm Friday, Saturday and Sunday or for groups by appointment. Robert Muir built St Bernards House in 1881 on the site of the present Council Quarry on Kaiser Road, as an accommodation house for its managers and staff. He bought almost 2000 acres of heavy scrubland at the top of the southern end of the mountain intending to grow sugar cane when the land was cleared. Mr. Muir was drowned in the flooded Logan River at Yatala in 1887. Following owners started a village settlement and moved St Bernards to its present site in 1898. During its history, St Bernards has had many varied roles including Post Office receiving centre, in 1915 it became a licensed property, the 1920’s saw St Bernards as a convalescent Private Hotel and an accommodation House for up to 100 guests. The tariff was three pound fifteen shillings per week. The main part of the hotel (the lounge and public bar) was built by John Siganto and it’s hotel licence was required then. 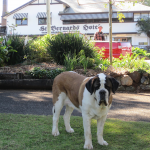 St Bernards is the largest and most famous Hotel on the Mountain, located in heart of Gold Coast Hinterland. 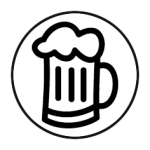 Go to the Frothing Beer Stein Icons on the map for trail information on the individual outlets. The classic country pub with its country home-style atmosphere, great food, good people and the warm ambience typical of a country pub. Views, cold beer warm and inviting. A mountain institution. Awesome little pub on Mt. Tamborine. Great hearty Irish fare, good ales, happy lively staff and on weekends awesome live music. Definitely one of the top watering holes on Mt Tamborine. The perfect scale of an old English Pub and has a fine range of English and Irish memorabilia adorning the walls. They have a selection of 8 beers on tap including a few English & Irish favourites - Guinness, Kilkenny, Green King IPA, Old Speckled Hen and Apple Cider. Sensational views to the Pacific Ocean, Various bars, Pokies and TAB facilities. Extensive grassed area, heaps of parking and the first pub you come to as you enter Tamborine Mountain. Hidden away in the Gold Coast Hinterland, is the Tamborine Mountain Distillery. This is Australia’s smallest operating Pot Still Distillery, but of world renown, including in Europe, America, Canada, New Zealand and Asia. With the Combination of rich red volcanic soils and fresh Spring Water, the abundant fruit of the Mountain is fermented and distilled. A small Pot Still is used to create the superb spirit which is the essence and foundation of Liqueurs, Schnapps, Vodka and Eaux de Vie. 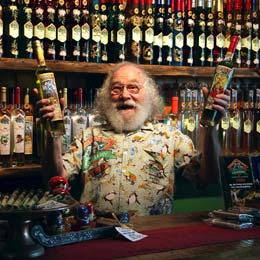 Although Michael and Alla Ward’s Distillery has only been open a short time (July 1998) they have already established a very enviable reputation as creators of high quality liqueurs, vodkas, schnapps and eaux-de-vie. This reputation, largely developed by word of mouth, has seen people coming not only from all Australian states but America, Europe and Asia as well. The Distillery’s products have won awards in America (Chicago, San Francisco) and Europe (London, Belgium, Germany, Austria). The incredible range of fruit that is grown on Tamborine Mountain is a wonderful resource for the Ward’s to draw from to produce their variety of Liqueurs and Schnapps. The Distillery also receives a considerable diversity of fruit from other growers which they turn into beautiful, smooth, Schnapps, Liqueurs, Fruit Brandy, Gins and Vodkas. Location: 87-91 Beacon Road, Tamborine Mountain. 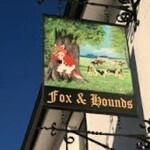 The Fox and Hounds is immensely popular within the British ex-patriot community, locals and tourists, offering a fine range of traditional food, beers and wines. They have a selection of 8 beers on tap including a few English & Irish favourites - Guinness, Kilkenny, Green King IPA, Old Speckled Hen and Apple Cider, they also have our own Foxy Lady Ginger Cider which is brewed locally. It has a lovely outdoor pavillion dining area which has become very popular. This was constructed to suit all weather and has seating to cater for 60 people. There is also the grassed beer garden, a massive area for the kids to run and play. Open every weekend so come along and enjoy a good meal and a pint with friends & family. While you're there why not have your photo taken with the Queen. Dining at Leaf Japanese Restaurant reminds one of the many little private restaurants located throughout Japan. The establishment itself is small, clean, homely, inviting and functional. The drinks menu has a variety of traditional drinks such as beers, sake, plum wine and shochu. Licensed (BYO Wine only). Vegetarian options, Take Away, Gluten Free Options, Child Friendly with air conditioned inside dining with an alfresco option. Frequented by locals. Open for both lunch and dinner daily except Tuesday (subject only to function bookings). The Old Church Restaurant is an easy 8 minute stroll from Amore. A personal favourite of Kay and John. A fine dining experience with degustation options. Guests love the presentation, the attention to detail and of course the outstanding meals. The restaurant is located at 216 long road Mt. Tamborine at the back of a 2 acre property with garden court yards, verandas, rolling lawns and tall pine trees make for a quiet and peaceful country experience. The Old Church restaurant dining room can accommodate 20 to 100 people for functions, a la carte seating is limited to allow time to dine in a relaxed atmosphere with open log fire place and French doors to the garden court, the separate bar also has open fire place for pre dinner drinks. Chef Andrew Quarantini after 25 years working and gaining experience in fine dining restaurants is now focused on sourcing the best and freshest produce and working with flavours to create beautiful meals, delicious desserts and tempting appetisers. Eden Restaurant in North Tamborine unveils an Australian Modern Menu with a fresh innovative approach to many classics. 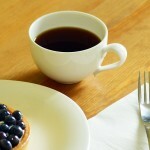 Meet friends for coffee, indulge in a leisurely lunch with family or spoil that special someone. Chef Dylan was trained and qualified in Sydney under the expert guidance of celebrity Chef Peter Evans of Hugos. During his travels he developed a passion for International cuisine and broadened his expertise. The Lunch menu features a selection of mouth-watering tapas style ‘light bites & nibbles’, ‘mezze platters’ as well as healthy ‘superfood salad’ options. Also on offer are delicious ‘open sandwiches’ served with Mason’s legendary hand-cut potato wedges and Chef specials to match the changing seasons. Eden restaurant provides a destination to sit back, relax and unwind to enjoy panoramic views from the verandah by day or a casual fine dining ambiance by night. It is an ideal venue for your next Birthday, Anniversary, Wedding or private function.They source their produce from local markets, producer's and suppliers and provide suitable choices for those with special dietary requirements. Enjoy Lunch outside on the al fresco deck overlooking the gardens or inside beside the wood burning fireplace. Memorable dining is created by a combination of great food, friendly and attentive service served in a relaxed environment. Mason Wines' Eden Restaurant offers all that and more. OPEN DAILY: Monday to Sunday 10am to 4pm (Lunch service 11am to 3pm). What a journey. Opening a street American style bbq eating place on Tamborine Mountain. After 4 months of renovating an old Thai/Mexican place (interesting combo), filling the new space with timbers, a stone top bar, chesterfield seating and some crazy art – they are finally open. Enjoy slow cooked meats and fine beverages. At Hickory it's all about falling deeply into leather couches and feasting to fill your heart. If you love food that you can really get your hands into then Hickory is the place for you. Don't be precious... pick up those ribs with your hands and get covered in sauce. Sure, there's a finger bowl for you - but don't you wanna just lick your fingers first. Love beer? Hickory has an amazing local IPA on tap and if you are lucky they regularly have their brilliant ginger beer as well. The tap range is available in small, big and mega sizes. If you are feeling like something in a bottle they have a great range of award winning beers to choose from. Every week there are new and exciting cocktails. After a refreshing light drink? - jump into their Jammy Dodger. If you are keen to play then check out the Ginger Pirate, the Kraken Iced Tea or the @ JJT slingshot. At Songbirds,(presently closed for lunch and dinner- only available for private functions) they believe dining should be a sensual experience. Aromas whet the appetite, presentation captivates, flavours delight. Songbirds is a multi-award winning restaurant, most recently receiving 13 points with AGFG (australian good food guide) giving them one Chef hat, this award coming shortly after the Chef Hat in mid 2012 from the Brisbane good food guide. They have also won the Queensland Restaurant of the Year Award for Excellence, Queensland’s Best Informal Restaurant and Best Modern Australian Cuisine Awards after winning Gold Coast Restaurant of the Year, Best Restaurant, Best Modern Australian Cuisine and a Best Wine List Award. Dine in an award winning restaurant where meals are fresh, innovative and served in a beautiful environment – the perfect setting for a lazy lunch or intimate dinner. You will love your Songbirds Experience! Location: Songbirds Rainforest Restaurant Lot 10 Tamborine Mountain Rd. ''Nothing about this restaurant is slow! The service is fast and impeccable. Food is freshly prepared and served fast. Tables are cleaned fast and efficiently.Yet somehow, with all that speed and hurry... the restaurant still feels calm and relaxed - anything but a 'Fast food Outlet'. 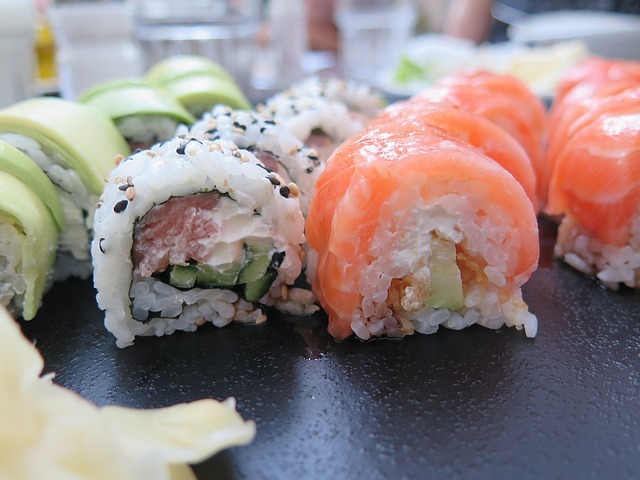 The food is certainly prepared fresh (you can peek behind and see it all happening in the kitchen and right in front of you at the sushi bar). The flavours are distinct. All the classic Chinese and Japanese dishes are on offer, and even with the myriad of sauces and aromas you still get served a dish that has it's own clean, distinct, crisp taste - the hallmark of freshly prepared. The staff are very 'child friendly' and easily absorb the foibles of young ones (spilt water, messy seats, etc). Our family has returned time and time again to this restaurant and will continue to do so." 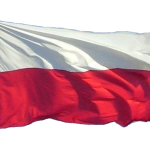 Witamy – Welcome The Polish Place, had been playing host to guests at their restaurant for over 30 years. The restaurant is currently closed because of a fire. Their aim is and has always been to provide a wholly Polish cultural experience through special attention to detail both in choosing the dishes on the menu, and the many individual touches to the restaurant décor. The cosy 40 seat restaurant features comfortable chairs and tables set before a hand-painted wood-log fireplace. The walls are hung with Polish artefacts and sculptures, and the ambience is second to none. During summer, dine out on the terrace overlooking the valley below, and don’t be surprised if you’re visited by a flock of noisy lorikeets while enjoying your meal. The Manor Restaurant - located 4 doors up the road. With food to warm the soul and delight any ardent gastronome, a visit to The Manor Restaurant is an absolute must. Their Australian influenced menu with all the flavours of Tamborine Mountain has a range of meals that can accommodate all tastes. Open for dinner Friday & Saturday night – Open other nights for group bookings by arrangement. Cafe open 7 days from 7 am to 5 pm. Who doesn't love Thai cuisine? 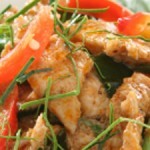 Get your dose of Thai food at Eagle Thai Restaurant. Check them out on TripAdvisor first. Located at 10 Macdonnell Rd, Eagle Heights. Georges Paragon Restaurant - just a 5 minute stroll from Amore. A Seafood Restaurant with a Mediterranean Flavour which is very popular with our guests.It does of course have a diverse menu incorporating meat and pasta dishes. Adjacent to the restaurant proper is a courtyard cafe area where you can have a great Devonshire Tea or a light snack. "We drove from Binna Burra for a spot of shopping along Gallery Walk and stopped here for a late lunch/early dinner. Just lovely! Very generous serves, friendly service and delicious food. Spotless linen and cutlery. Entrees were simple foods, but beautifully presented. Mine was an avocado and prawn mix, sort of a deconstructed version of the old prawn cocktails. It was missing the avocado but the waitress apologized and immediately brought a whole perfect avocado, finely sliced on a separate plate for me. My husband and I shared a Greek tasting platter, which was more than ample for two people. Delicious mixture of haloumi, dolmades, dips, lamb skewers, calamari and so forth. The barbecued octopus was to die for! All four of our party were delighted with the food. Good choice of alcoholic beverages also. Very much enjoyed and wouldn't hesitate to return." Phone: 5545-1511 Lunch & Dinner Wednesday to Sunday. A Seafood Restaurant with a Mediterranean Flavour which is very popular with our guests . It does of course have a diverse menu incorporating meat and pasta dishes. Masala literally means a mixture of spices, but here it represents “the feast for the senses” that they aim to provide, from the vibrancy of colours for the eyes to the explosion of flavours and exotic spices for the palate, as well as music from distant lands for the ears. At Mount Tamborine Vineyard Winery they take pride in the food they create. Whilst maintaining the beautiful flavours that come from sourcing produce locally, they endeavour to cater for all needs and all food types. The cafe specialises in quick and tasty indulgent foods for patrons wanting a quick, satisfying fix whilst exploring the Mountain. Every item of food is made on premise – from huge mouth watering massive muffins to homemade cakes and slices. The favourite is without a doubt their Award Winning Steak Pies with diverse flavours – the latest winner is their Angus Steak Beef ‘n’ Burgundy pie comprising of prime rump fillet, plump roma tomatoes, and garlic with a special blend of Shiraz wine with Australian herbs and spices. They have won awards for their pies! 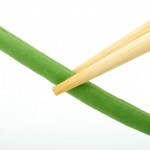 – the famous Chicken Leek and Sweet corn, is a Gold Medal winner. Staff are Barista trained and the coffee is great! Ask for a Caramel Infused Long Latte – you won't be disappointed! 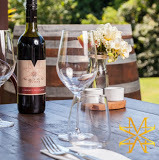 Mount Tamborine Vineyards & Winery aims to provide the ultimate cuisine and fine dining experience by combining exceptional local produce with our award winning Queensland wines. Located: 128 Long Road Tamborine Mountain. Restaurants within walking distance of Amore Bed and Breakfast. Go to the Flag or Dining Icons on the map for details. Masala Shanti– located just 2 doors down the road – for those who enjoy true Indian cuisine. Lunch and Dinner Wednesday thru. Sunday. The Old Church – about 8-minute walk away and located in an old church setting — a fine dining experience with degustation options. Lunch Friday & Saturday Dinner Thursday thru. Saturday plus Monday. Long Road Bistro - directly opposite Amore in the Cheese Factory complex. A great menu. Lunch 7 Days. 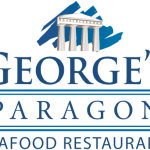 George's Paragon Seafood Restaurant – less than a 5-minute stroll – a seafood restaurant with a Mediterranean Flavour. Lunch and Dinner 7 Days. 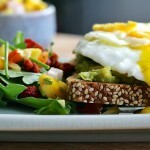 Cafe Bravo – also only a 5-minute stroll — good hearty food. Breakfast and Lunch 7 Days. Jacques – located 4 doors up the road – distinctively French but with all the flavours of Tamborine Mountain. Tea and Niceties - A 15-minute walk. Brunch or High Tea in a bright, elegant cafe with romantic decor, fine crockery and a stunning garden - adjacent to Curtis Falls Walking Track. Open Wednesday to Sunday from 9 am to 4 pm. Tamborine Mountain Vineyard – A 5-minute stroll. 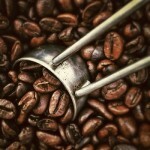 Award winning pies, gourmet meals and great coffee. Open 7 Days 8.30 to 4.00. The Monkey Tree – An 8-minute walk. Located near the Fig Tree Roundabout at the top end of Gallery Walk. Modern Australian cuisine, dine in or takeaway. Breakfast and Lunch 7 Days, Dinner Wednesday thru. Sunday to 8.00 pm. And Restaurants just a short drive away. 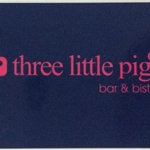 The Three Little Pigs — a 4 minute drive from Amore — a favourite with locals, Great Chef with food to savour. Lunch Wednesday thru. Sunday, Dinner Friday and Saturday. Clancy’s Irish Bar and Restaurant – also only a 4-minute drive from Amore – Great hearty Irish fare, good ales, happy lively staff and on weekends awesome live music. Definitely one of the top places to eat on Mt Tamborine. 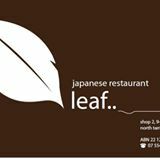 Leaf Japanese Restaurant – another within a 4-minute drive from Amore – reminiscent of private restaurant in Japan. The food is prepared with care and attention to detail by chef Jiro in an open kitchen with a daily specials board highlighting seasonal produce. Hickory – yes also just a 4-minute drive away. The first place on the Mountain to seriously offer cocktails and fine beverages, matched in with dry rubbed Ribs. The guys are open late on Friday and Saturday nights so even if you are eating elsewhere, you are more than welcome to drop in for a pre-dinner or a late drink at Hickory. 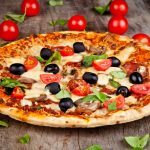 Belvedere Italian Restaurant – a 5-minute drive from Amore – Authentic Italian and International Pizza, Gnocchi, great pasta and traditional Italian and local dishes laced with local produce. 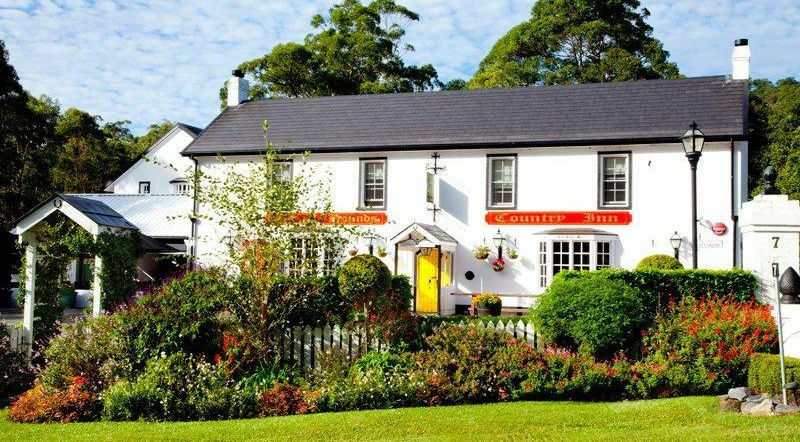 If you enjoy Chinese, Bavarian, English Pub, Modern Australian or Polish style cuisine or want to visit the Mountain's most famous pub St. Bernards – they are all only a short drive from Amore. Songbirds – 7 minutes drive away – “a sensual experience” – winner of the 2008/2009 Gold Coast Restaurant of the year award. Take-Aways – Be it Thai, Indian or simply a Pizza all are available within walking distance. Tea and Niceties is a casual 15-minute stroll from Amore Bed and Breakfast. It is a charming and relaxing spot to stop and enjoy some respite from the fast paced city life that beckons less than an hour's drive away. A broad ranging menu is on offer with plenty of personal in-house touches. Take an early morning bushwalk and finish with a hot breakfast or enjoy a leisurely walk down to the waterfall before resting back in your chair to savour a pot of your favourite Tea and the Pastry Chef’s famous light and fluffy scones. A popular drop-in for locals. Genuine Italian cuisine. The food is authentic and wow the pizzas either Italian or International are as good as they come. Chef Mario is passionate about his fare and it shows in the finished product. We highly recommend the gnocchi al pesto - it is beautiful. The gnocchi is homemade and fresh and just melts in your month. The pesto had good flavour and is well balanced. Licenced with both indoor and kerbside dining options. Located: 43 Main Street, Tamborine Mountain. Opening hours: Open 7 days from 5.30. The Long Road Bistro is located directly across the road from Amore. This complex comprises the Bistro, the Witches Chase Cheese Factory and the Fortitude Brewery. Food with character, innovative, distinctive and popular beers and a cheese outlet that that has a diverse range of outstanding product. Live music on weekends. Foxtel on the big screen in the Boutique Brewery and much much more. Location: 165 Long Road Tamborine Mountain. Cafe Bravo is a beautiful place situated in the centre of Gallery Walk. It has great food and friendly staff who are more than happy to make sure you enjoy your meal. Open Mon to Fri from 9am, Sat and Sun from 8am. Dinner Fri and Sat from 5.30pm. 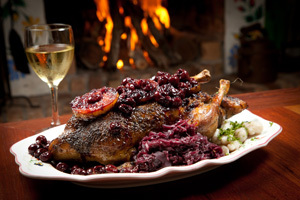 Bavarian Grill Haus offers a warm, friendly and fun atmosphere. Bavarian style food, German beers in a welcoming environment. If you like Bavarian style food try this place out. Underlining themes in all Bavarian cuisine are the use of fresh produce that is locally sourced and the complementing of the meal with delicious Bavarian beer or Franconian wine (or the Australian equivalent). 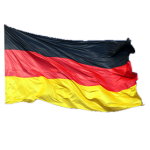 Regional cuisine in the various states of the German nation has received increasing attention since the late 19th century. The 19th century cookbooks included many recipes for soups containing Knödel. The meat recipes were mostly based on beef and veal, where cooked beef was used for everyday meals. Knödel and noodles were a traditional festive dish in Bavaria. In the late 19th century, chopped pork with Knödel was a typical Bavarian regional dish. The Munich Weißwurst was "invented" only in 1857. There were few recipes for mixed vegetables in the cookbooks, and stews played hardly any role, but the Pichelsteiner stew is said to be introduced in Eastern Bavaria in 1847. In the 19th century, the vegetables that most of the Bavarians usually ate were Sauerkraut and beets. French-influenced dishes included Ragouts, Fricassee and "Böfflamott" (Boeuf à la Mode), larded and marinated beef. Cool place at the top end of Gallery Walk. 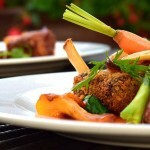 Modern Australian cuisine, GF, organic and locally produce. Licenced, Coffees, Cakes, Take-aways – all made with passion. A great find, a place to flatline, chill -out on the deck or get into the grove that the Monkey Tree has been known for. Open Wed to Sun 8am to 4pm as well as late on Wednesday through to Sunday nights. The service is outstanding. Beautifully prepared fresh food with their own twist. Parts of the menu change each day as they only buy the best and freshest produce so if anything is not up to the standard that chefs Chris and Horst demand then it is not added to the menu. If you elect to dine at “The Pigs” you will be saying to yourself -- What a result that was! 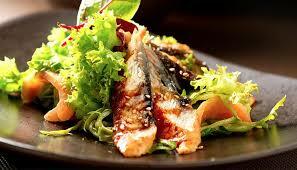 The menu includes dishes such as salt & pepper prawns, pulled pork patties, Tasmanian salmon, and risotto with eggplant. All dishes were available in two portion sizes, perfect if you don't want a huge meal at lunchtime. The desserts are delicious so be prepared. Portions are generous and service is excellent. A well run restaurant, with accommodating staff and cheerful and efficient chefs. The pork belly is outstanding and they have a great choice of beer on tap (Sapporo). All wine from a classy wine list available by the glass. Saturate your senses at the Mount Tamborine Country Markets. 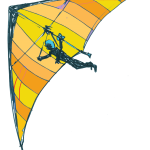 Held at the 6 acre Tamborine Mountain Showgrounds complex on the second Sunday of every month. Duck and weave through the 200 or so stalls filled with everything from original and exciting arts, crafts, clothing, potions and jewellery. Held on the last Sunday of each month, the ‘Markets on the Mountain’ is sponsored by the local State School on land at the corner of Curtis and Long Road. Renowned for some of the best burgers in town, here you can enjoy a walking breakfast with pancakes…. The “Green Shed”, located at The Showground, 386-398 Main Western Rd, Mount Tamborine, Queensland, is the local market for fresh fruit & vegetables, and is open EVERY Sunday from 7.00am to noon. Flowers, honey, nuts, herbs and plants are also in bountiful supply. 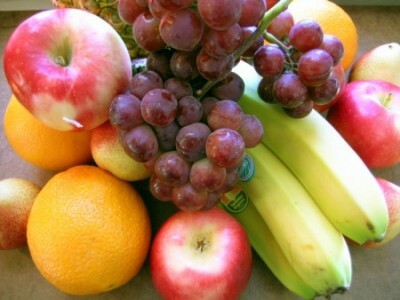 A wide variety of high quality, freshly picked produce, is always available. The range available, depends on the season. Prices are set at a level which provide farmers a return sufficient to encourage them to continue their farming activities and provide exceptional value to their customers. We also feature the Green Shed on our Harvest Trail Map. An extensive new menu that will delight all culinary tastes. All of this is complimented with an outdoor, undercover dining area, and manicured gardens where the kids can let off steam and enjoy the jumping castle. C edar Creek Estate Vineyard and Winery is a well known Cellar Door on Mount Tamborine in the heart of the Scenic Rim wineries region. With an impressive range of wines from the varietal tastes of Sauvignon Blanc, Verdelho, Chardonnay or Shiraz to the sweeter styles of Rose, Moscato, Ports, Liqueur Muscat and Dessert Wines. Whatever your taste in wine is, they have something you can enjoy and share with friends. The Cellar Door staff will guide you through the list of wines on offer or host your next group tasting in the Heritage Bar. 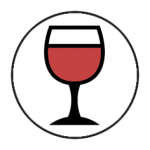 Wine tasting is $4 per person with 5 styles of wines on offer to taste. Bookings are essential for large groups of 10 or more people. 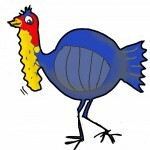 104-144 Hartley Rd, (07) 5545 1666 Open Everyday – 10am to 4pm Closed Christmas Day & Good Friday.